Use Coupon Code "aten" and Save 10% Now. Consumer Reports ranks Blueair Air Purifiers as the top 2 Air Purifiers in their most recent testing. 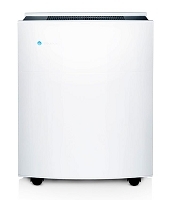 New Blueair Blue Pure 211+ brilliant design, compact and extremely efficient with a remarkably low initial cost. New Blueair models 205, 405 and 605 feature Wi-Fi connectivity, an app for your smart devices and an LED display for filter changes. Blueair Air Purifier's patented HEPASilent technology combines the best features of electrostatic and mechanical filter technology. Blueair SmokeStop Filters are designed for environments with smoke and/or gaseous pollutants, using activated carbon to remove tobacco smoke, odors, and harmful VOCs. 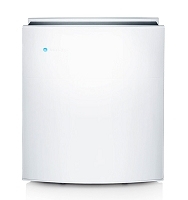 Extremely Quiet Operation: The Blueair housing and filters are designed to work quietly, replacing sound transmitting plastic with noise-muffling steel. New WiFi enabled: Control from any smart device via free app, except the 211+, soft- touch LED controls and filter change notification. Award-Winning Design: The sleek, modern styling has earned Blueair a prestigious design award in Scandinavia, the Excellent Swedish Design Award. Durable Steel Housing: The Blueair system housing is made of rust-proof powder-coated steel, rather than fragile plastic. Zero Ozone Emission: The Blueair system significantly reduces ozone production. 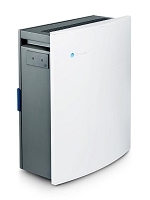 Testing has shown that the ozone concentration in the Blueair system's output air is actually lower than that of the incoming pre-filtered air. Low Energy Usage: Blueair was among the first manufacturers to earn the Energy Star designation for all Blueair air purifiers, a program sponsored by the U.S. Environmental Protection Agency (EPA) and the Department of Energy. Easy to Maintain: Turn it on and select the fan speed setting. Blueair works so quietly, at first you may wonder if it's turned on. 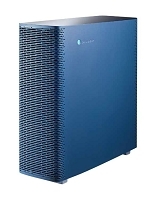 Blueair Hepa-Silent filters require no weekly maintenance. 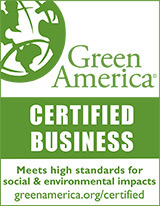 Industry High CADR: Clean Air Delivery Rate (CADR) was developed by the Association of Home Appliance Manufacturers (AHAM) in the United States. The number, to help consumers determine how well an air purifier reduces airborne pollutants such as tobacco smoke, dust and pollen by measuring the volume of filtered air delivered. 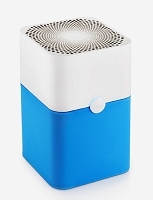 The higher the CADR, the more efficiently the air purifier delivers filtered air. Blueair filters trap six times more dirt than filters in other typical air purifiers. The reason is the filter's progressive structure. Many filters from other manufacturers are thinner and usually consist of the same size filter fibers throughout. Blueair filters have millions of ultra thin fibers in three different sizes and are progressive in their filtering action. The first layer captures larger particles like pollen & dust. The second and third capture smaller particles like bacteria and micron sized particles.